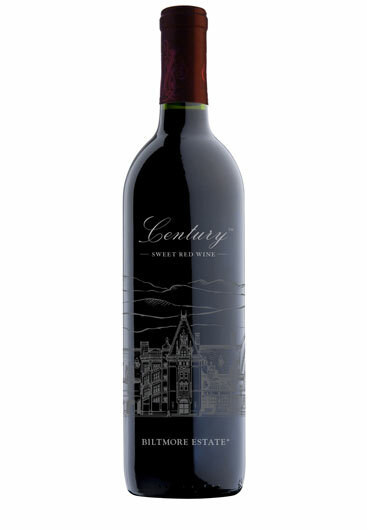 A longtime favorite, Biltmore House Red, has a new look and a new name! This sweet, fruit-forward blend is now known as Century Sweet Red and features intense aromas of blackberry and vanilla. I have never been a Red Wine drinker, always whites or Rose. I tried the Century Sweet Red and I love it. Now one of my favorites.I always grab a couple of bottles when Im there! This is the best red wine I have ever tasted. Does not give me headaches like some other red wines. Smooth taste, not too sweet, just perfect. Cannot wait to visit the Biltmore again to stock up on this wine! I have to be careful of red wine as they can trigger my migraines. This wine did not trigger my migraines and I like the smooth red taste. Not too dry or sweet. Great with almost any meat dish and dessert. I am normally not a red wine drinker, they tend to be to dry for me. However this is the BEST red wine! It's not sweet, but a great medium taste. Awesome with a grilled steak and shrimp!! Highly recommend this red wine!!! This wine is wonderful! We order it by the case and give it to our friends as gifts if we don't savor it all ourselves. It's the only red wine we drink. We love this wine. We buy it as gifts for our friends and they love it too. We order it by the case. An fine sweet wine with a fulfilling body and finish.